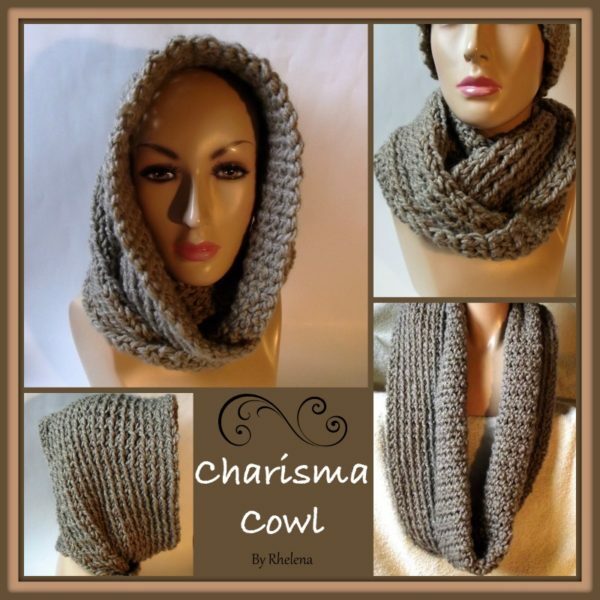 This charisma chunky cowl crochet pattern is perfect for a last minute gift. It’s not only stylish, but it works up really quick too. It’s crocheted with Loops and Thread Charisma and a 10mm crochet hook. But because the stitch is so simple, you could crochet this in any type of yarn. You can wear this as a scarf, as a cowl, or as a hooded cowl. It’s a bit snug when wearing it as a hood; but it’s snug around the chin area so it keeps my face nice and warm when walking in the cold. 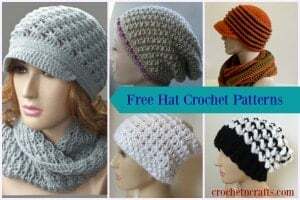 You can crochet this cowl to any length you want by increasing the beginning chains in multiples of two. And be sure to check out more patterns in the Charisma series. Gauge: 3″ over 3 sets of sc & ch-1’s. Finished Size: 22″ long by 9″ high when laying flat. Ch 100 or any multiple of 2; join with sl st in first ch being careful not to twist chs. Rnds 3-17: Rep rnd 2 until you have reached a desired height. Fasten off at last rnd.